Installed with a min. 10 meters high ceiling, a boarded fine white sand circle, and a complex system of computer regulated mechanics. 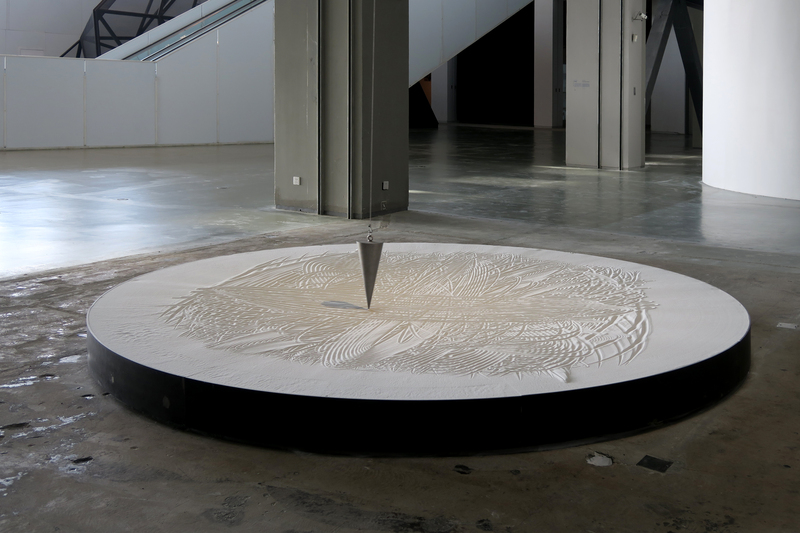 Shifting Axis is an alteration of the Foucault Pendulum, named for the French physicist Léon Foucault, who first used it in 1851 to demonstrate the rotation of the earth on its axis. It was the first satisfactory demonstration of the earth's rotation using laboratory apparatus rather than astronomical observations. 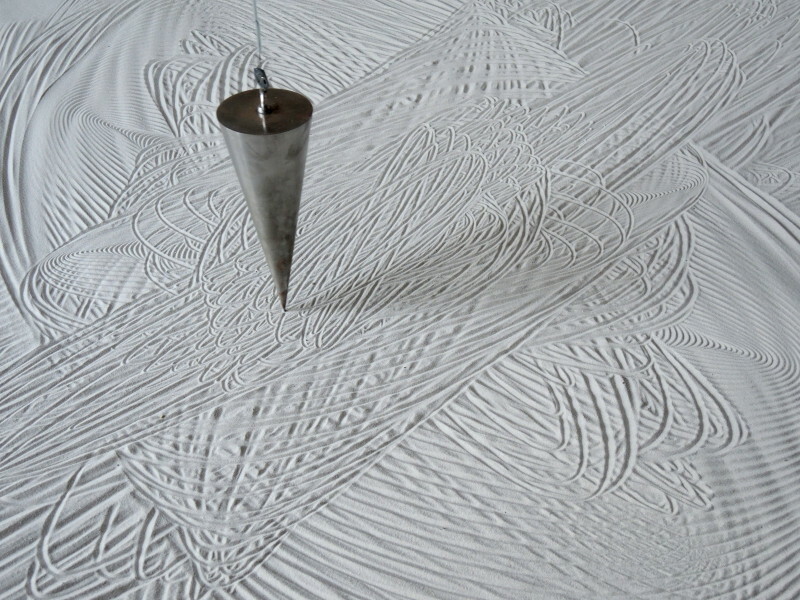 The installation consists of a steel pendulum and a circular box of fine silver sand. 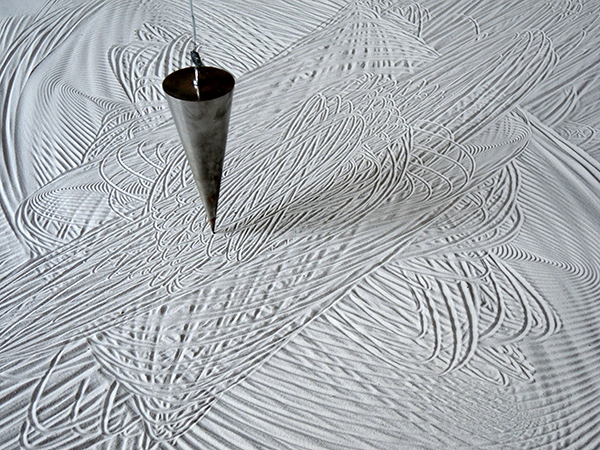 The traces made by the trajectory of the pendulum are partly created by the rotation of the earth and partly by manipulation of a hidden mechanical system constantly influencing the course of the pendulum into a chaotic movement. The mesmerizing movement is creating a constantly changing pattern in the sand. 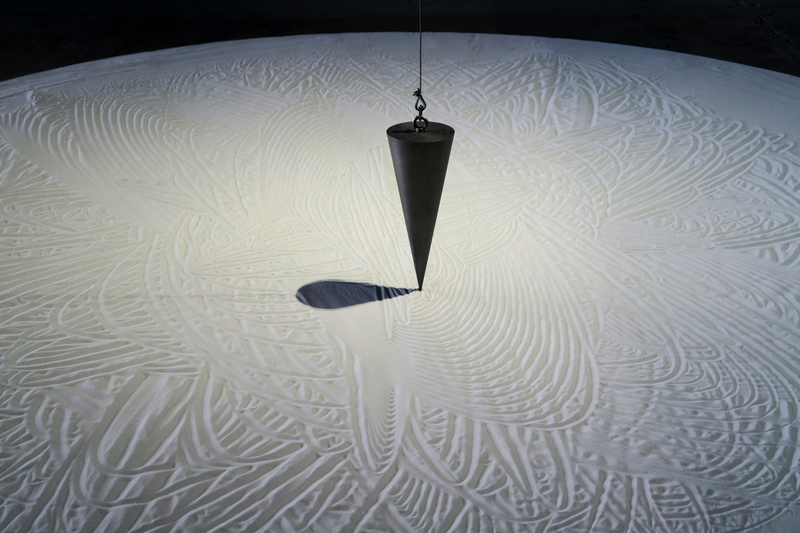 The metal point of the pendulum moving in the sand creates a captivating sound that enhances the almost hypnotic effects on it's viewers.